Our stunning luxury resort in Cabo San Lucas is located in an exclusive complex just minutes from downtown and the Cabo Marina. It is one of few resorts in the region to have the privilege of being located on Medano Beach, overlooking the iconic El Arco rock formation that so many come to Cabo to see. Villa La Estancia’s exclusive location allows guests the best of both worlds, a highly private vacation experience where relaxation abounds and access to the high energy entertainment and adventures that Cabo San Lucas is known for. 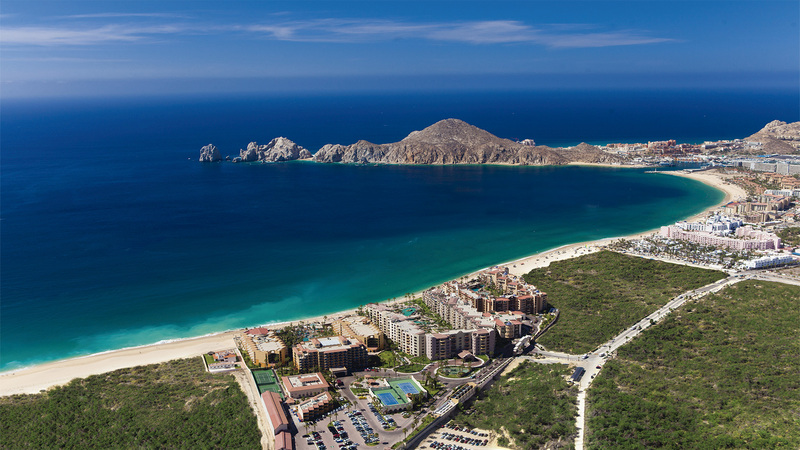 A popular destination for A-list celebrities and the like, Los Cabos is the idyllic choice for your vacation getaway. Located at the tip of the Baja California Peninsula, the high energy city offers a little bit of everything for travelers of all sorts. Cabo San Lucas boasts a vibrant culture, sensational nightlife, and the picturesque natural beauty of only the most fascinating destinations in the world. Those vacationing where the Sea of Cortez meets the soft sands of Los Cabos will find a diverse array of desert and ocean landscapes that create the perfect playground for all sorts of things to do in Cabo San Lucas. The serene desert landscapes, supernal natural beauty, and sparkling marine escapes that take over every view at Villa La Estancia Beach Resort & Spa Los Cabos are reason enough to choose the luxury resort in Cabo San Lucas for your vacation. The region is blanketed in awe-inspiring natural beauty that only adds to the soothing vacation experience at Villa La Estancia Los Cabos. Medano Beach is a long stretch of sand that extends from The Villa Group complex all the way to the shores of downtown. As the city’s safest swimming beach, it is a haven for those looking for a seaside playground. Visitors can partake in a number of Cabo San Lucas activities on Medano Beach, including paddle boarding, kayaking, snorkeling, and more!